A lorry driver allegedly caught on film repeatedly and deliberately ramming a car on the M1 near Northampton has been charged with careless driving. Matthew Stockdale, aged 46, caught the alleged incident on his dashcam as he drove along the M1 near junction 15 last year. Mr Stockdale alleges the lorry driver veered towards him and shunted his car twice. 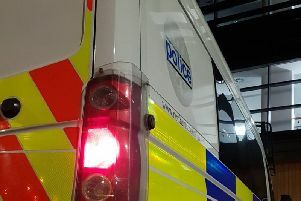 Northamptonshire Police said a 67-year-old lorry driver from Dunstable, Bedfordshire, had been charged with careless driving in relation to the incident. Mr Stockdale is a former police and crime commissioner candidate and special constable who now runs a dashcam company.